A more cogent reason to prioritize To Live Out Loud is because it now seems so urgently necessary to remind people about what happened in late 19th century France. Right wing military officials inflamed an antisemitic hysteria by court-martialing loyal Jewish officer Alfred Dreyfus in 1894 and condemning him for treason based on falsified evidence. For American Jews, this is a travesty of justice that echoes through history due to recent events. In 2017 white supremacists marched in Charlottesville, Virginia chanting “Jews will not replace us.” Then in 2018, the worst antisemitic atrocity in American history occurred when a right wing extremist killed 11 praying Jews on the Sabbath at a Pittsburgh, Pennsylvania synagogue. Émile Zola in this book, and Nellie Bly in her most recent novel, A Different Kind of Angel. 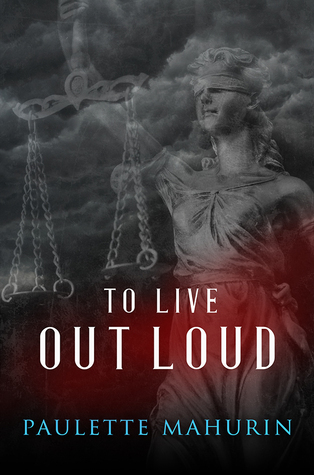 To Live Out Loud also made me aware of a French Kristellnacht in the French colony of Algeria that was an incident which happened during the same period as the Dreyfus case. According to a Wikipedia article on The History of Jews in Algeria, in 1898 two Jews were killed and 156 Jewish shops in Algiers were attacked as a result of antisemitic hysteria among the French colonists. My only criticism of this book is that I thought it would have been more intense if it had been from Zola’s perspective. I don’t really see the need for a fictionalized friend of Zola who barely exists as a character. After Zola’s death, there could have been an epilogue from the perspective of Alfred Dreyfus perhaps. Otherwise To Live Out Loud was a meticulously researched novel that speaks to our times. Zola’s courage and integrity are memorialized through this book. This entry was posted in A Different Kind of Angel, REVIEWS, TO LIVE OUT LOUD. Bookmark the permalink. 18 Responses to What does a reader have to say about my book, To Live Out Loud, Antisemitism, and journalism today.